Jewish cooking is the daily expression of not only religious beliefs, but a cultural and family history. The recipes passed from one generation to another tell their own story of a family's past. An historically peripatetic people, Jewish communities can be found in every corner of the globe. Obliged by religion to adhere to the dietary laws of kashrut, Jewish cooks have adapted local cuisines to reflect their culture. When recreating an old recipe in a new land, they have worked with the available ingredients to produce dishes that unite religion with necessity, and past with present. Delicious hybrids, these dishes tell their own tale of Jewish families, their history and their culture. The stories of nine Jewish families appear through the book. They tell of travel across continents; family celebrations; reunions and separations; war and peace. 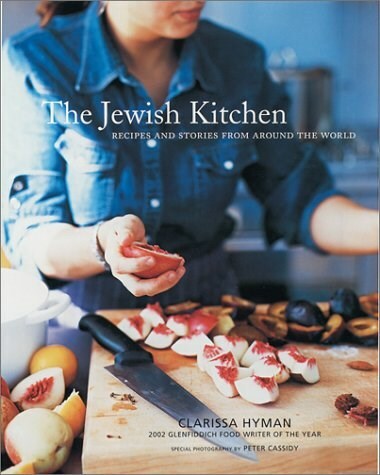 Each story is accompanied by a recipe and, among others, reveal the dishes cooked by Cuban Jews in Miami, Australians in Manchester, and Moroccans in Israel. A delicious, international fusion cuisine, food from the worldwide Jewish kitchen is as diverse as its cultural heritage.